Wrestlessly romantic, yet without nostalgia, ‘The Boston Harbor Defense Reclamation Project, An Archaeology’ takes the reader on a journey through the ruins of the military infrastructure that surrounds Boston Massachusetts. 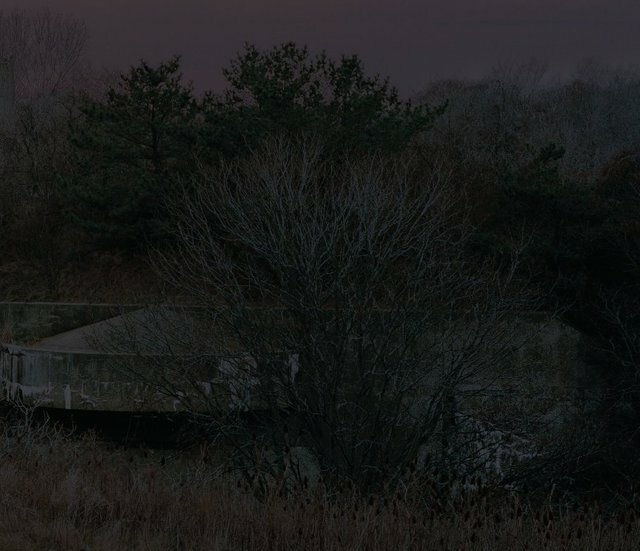 By pairing both archival images and original color photographs ‘The Boston Harbor Defense Reclamation Project’ challenges the viewer to consider the history of the present and asks us to stop and question how we live our lives in the face of finitude. Aaron John Bourque is an artist, photographer, and historian. ‘The Boston Harbor Defense Reclamation Project, An Archaeology,’ continues his inquiry into the potential of photography to document the past and write history. Primarily interested in the history of the present Bourque's work seeks to not only start a conversation about the role of photography in the production of history and the cultural imaginary, but also invoke the viewer to confront their own relationship to the production of history. Looking to ruins as an image of the past, Bourque tracks down and photographs the sites of the production of American military power now abandoned and derelict. His work asks us to not forget the production of our power as we write the history of ourselves as Americans. Bourque holds an MFA from Tufts University and the School of the Museum of Fine Arts, where he was also awarded a Post-baccalaureate Certificate. He also holds a BA in Modern European History focusing on the History of Ideas. Before attending SMFA, he worked as a community organizer. He currently lives and works in Boston.